I’d like to draw your attention to an article that was published this morning over at The Guardian regarding the preservation efforts under way at a place that is essential to our understanding of the history of United States Colored Troops. 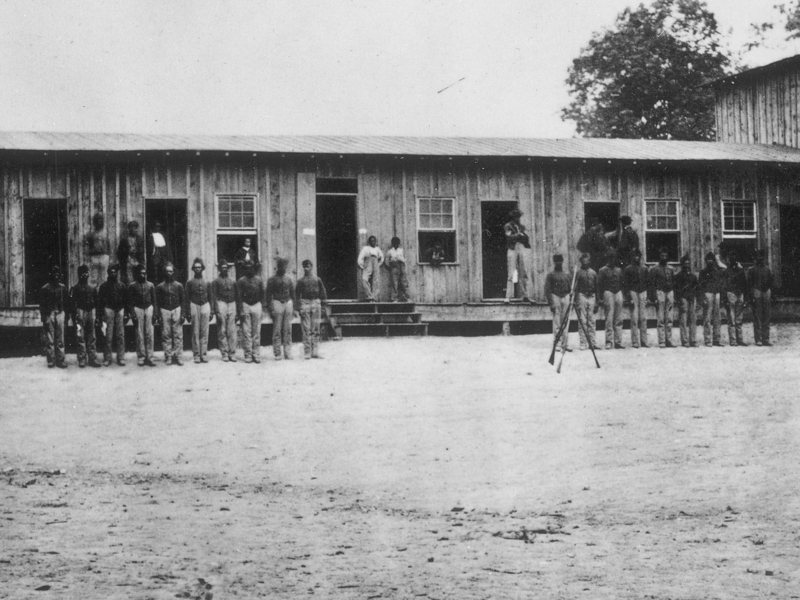 Camp Nelson, Kentucky was originally constructed in 1863 as a supply depot for the Federal Army of the Ohio. 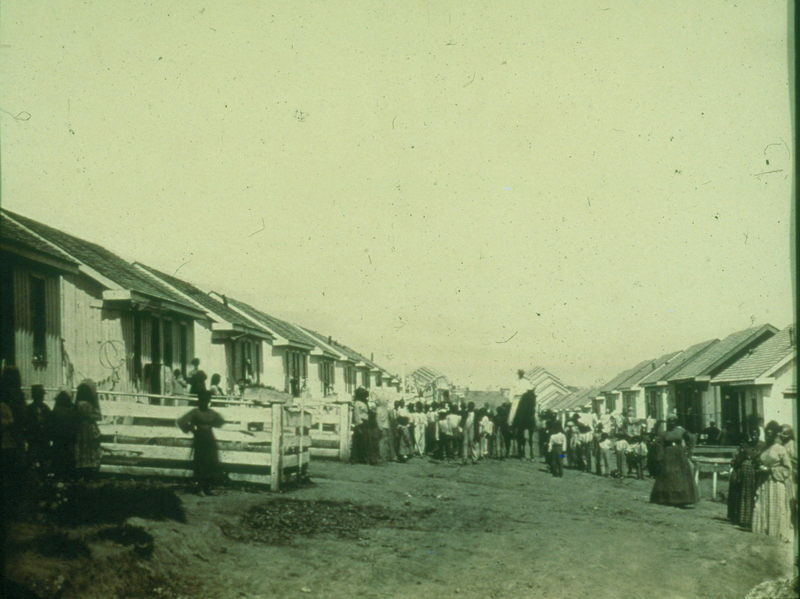 Shortly after it was built, an influx of newly-freed slaves descended upon the camp and were quickly put to work on construction projects such as building railroads. In October of 1863, many of these ex-slaves began to enlist in the United States Colored Troops. 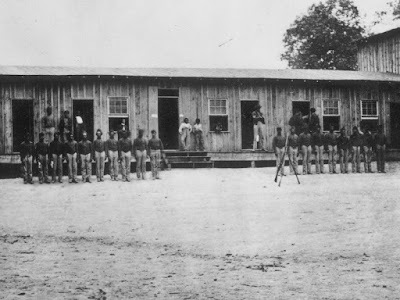 All told, over 10,000 African Americans joined the Union army at Camp Nelson, and the camp quickly became a place of refuge for the families of these newly-minted soldiers. Like all contraband and refugee camps, volunteers from the American Missionary Association and workers with the US Sanitary Commission descended upon the camp to educate and assist the freedmen. With monument status… [the park] could also hire a superintendent and employees. “It will give us more recognition and get our story out to more people,” [park archaeologist Stephen McBride] said. It’s sometimes easy to fall into the trap of equating the size and scale of a park with the importance of what actually happened there. I ran into this all the time when I served as the Site Manager of the Bristoe Station battlefield – the mindset is that if a place doesn’t have all the glitz and glamor of a Gettysburg, then nothing important must have happened there. To give a site as important as Camp Nelson the status of a national monument would do much to ensure that future generations are able to explore the rich history associated with this hallowed ground. I’ve been captivated by the story of a site similar to Camp Nelson – Arlington’s Freedman’s Village – for many years now, but that site is long gone, as are many similar sites in the Washington DC area. The Guardian article concludes with information regarding the administration’s efforts to convey monument status to the home of Civil Rights hero Medgar Evers. While the article also states that some question the motives of the Trump administration for taking these measures, but I’ll leave such speculation to the activist bloggers – as far as I’m concerned, preservation of these critical sites trumps petty politics. I’ll be sure to keep a tab on these preservation efforts and will update this story as needed over the coming months.